As a late career Fed, you are pondering retirement. For some, this is a chance to discover new hobbies and pursue things you didn’t have time for when you worked. For others, it’s an opportunity to pursue a different career with the safety net of a retirement income. And yet for others, it will be an opportunity to do a lot of relaxing after a career in the federal government. Regardless of your circumstances, you have some big decisions to make during your retirement years. Some of these decisions have to be made right away, while others are several years down the road. Let’s take a look at what I believe are the five biggest decisions a federal employee will have to make for their retirement. The first decision to make is when will the employee be ready to retire. This is a multi-faceted question. The first hurdle is eligibility. There is a sliding scale based on the year you were born which dictates your minimum retirement age with the federal government. This entitles you to an immediate retirement, starting within 30 days of when you stop working. Once you have calculated when you are eligible to retire, you have to determine if you are emotionally and financially ready. For some, their identity is wrapped up in the career they’ve spent years developing. They aren’t ready for that part of their lives to change. There would be a void left that would have to be filled with other activities. Financially, potential retirees have to gauge their suitability for leaving the work force. Can they cover their expenses through their annuity, social security (or FERS supplement), and withdrawals from the TSP or other investment accounts? The FERS (Federal Employee Retirement System) supplement, a financial bridge to cover retirees until they are eligible for Social Security, stops at age 62. 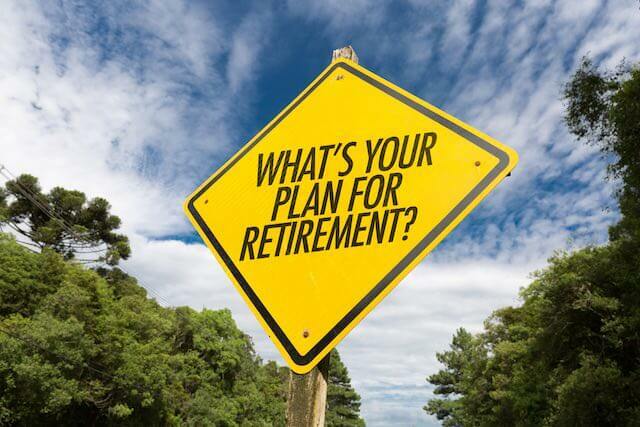 At that time, retirees will have to make an extremely important decision on whether they will seek to draw reduced Social Security benefits early (age 62), at their full retirement age (67 if born in 1960 or later), or at the maximum benefit age of 70. There is no universal right answer. It is a subjective and personal decision made on economics, estimated life expectancy and political beliefs. Some people would rather wait and not claim the reduced benefits early and opt for the higher payout at their full retirement age. Others want to defer benefits even longer, in order to maximize their payment. The longer you wait, the higher the payout until age 70, after which your payment does not increase. Remember that your payout is higher, but you have lots of payments to make up if you declined to receive lower payouts years earlier. Finally, some believe the current social security benefits system will have to be modified and is unsustainable since the Social Security Trust Fund is set to be depleted by 2033 if changes aren’t made. Therefore, their strategy is to claim as early as possible before to avoid facing reduced benefits. There is not a one-size-fits-all answer. You don’t have to begin withdrawing from your TSP when you retire. However, when you do, you have to be strategic in the amount and way you start pulling out your money. As of the date of this article, there are plans in the works to modify the existing methods that are available, which are somewhat restrictive. Currently, you can select to pull the entire amount out, select an annuity in exchange for the full value of the TSP, or select monthly payments that can be changed once a year. You also have a one-time opportunity to make a partial withdrawal from your TSP before electing one of the three methods described above. Be smart and carefully consider your options. Most people don’t want to outlive their TSP fund. Should You Elect To Enroll In Medicare Part B? The ability to enroll in the Federal Employee Health Benefits (FEHB) program is one of the best retirement benefits available to federal retirees. It allows them to participate in the same health insurance program they participated in as employees, after they retire. The premiums are not paid with pre-tax money as it was when they were working, but it is still a great program for the money. The real question is should the retiree sign up for Medicare Part B, also known as doctor’s insurance. This is also a personal decision. Medicare Part B is not free. The fees are based on a sliding scale based on income. Are you the type of person that prefers to pay premiums and limit co-pays and out of pocket medical expenses? Or would you prefer to not pay premiums every month and absorb the out of pocket costs? Please check my extended article on Medicare and FEHB. Should You Downsize, Move Or Stay In Your Home? As a retiree, the single most powerful thing you can do for your finances is to control your expenses. I have worked with postal workers that can retire on time and highly paid government executives that have to work an extra year or two past their minimum retirement age. Why? One could control his expenses in retirement and the other would prefer to live a more lavish lifestyle after leaving government service. One option to consider in controlling your expenses is moving or downsizing. If you downsize in your current area, or move to a location where housing is more affordable, this should reduce your monthly housing expense or put more money in your pocket. When moving, consider what relationships you are leaving behind. Are you leaving behind family? Or are you moving to be closer to family? Do you have any relationships where you are moving to? Other options to consider if you decide to stay home and need money for daily expenses and your home is paid off are a reverse mortgage, a first mortgage or home equity line of credit. How Do I Know What I Will Receive in Social Security Benefits?